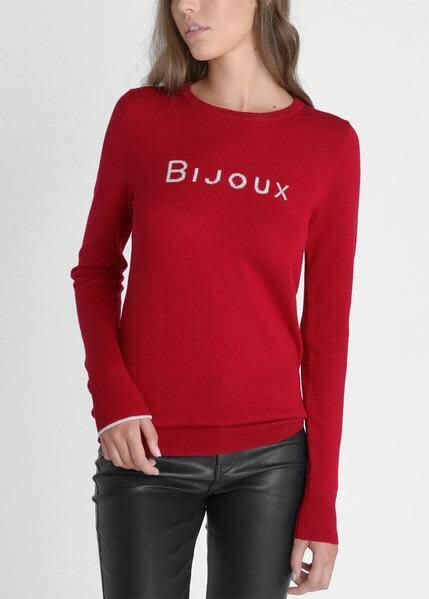 The newest slogan sweater from Ille De Cocos in cherry red with soft pebble grey lettering. The lightweight yarn gives the garment a beautiful clean finish with a soft hand feel. The neck, hem and cuff are trimmed with a stylish rib. The right-hand cuff is gently tipped in pebble grey.